Need the perfect look for your newest vintage threads? 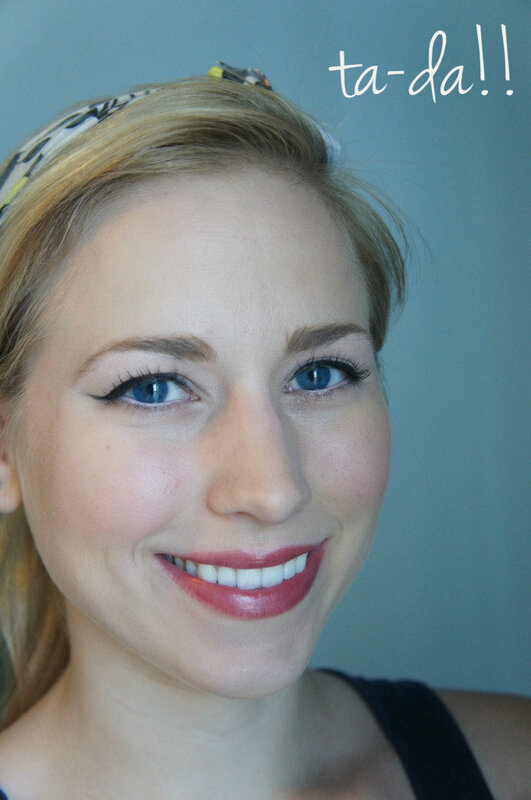 This 50s inspired makeup tutorial is just what you've been looking for (oh, it isn't? well hopefully you'll enjoy it anyway). If you can pull of the fire engine red lipstick. I say do it. I was going to home depot after I snapped the pictures for this tutorial so I decided to go a bit less bold (smart move, I know). helpful hints: keep your foundation matte and use a bit of neutral shadow. either beige tones or a bit of light gray. 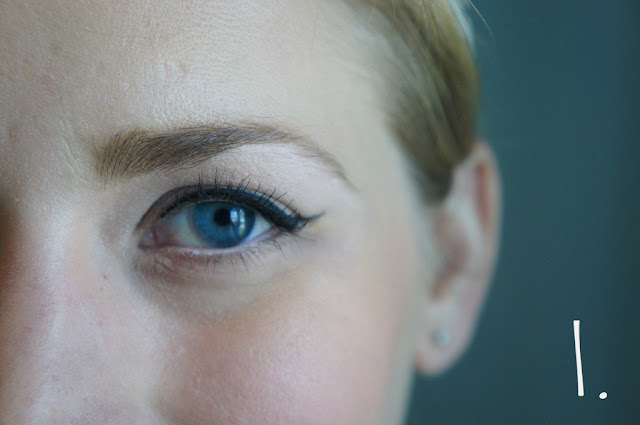 skip the lower eyeliner/mascara altogether or keep it light. the emphasis should be on the upper lash line and your lips. add a dusting of pink blush and you're good to go. hope you enjoyed the tutorial! let me know if you have any ideas/requests for future makeup posts! AHHHHH!!! I LOVE THIS! What color lipstick did you use? i'm always wondering how to do my eyes...this is simple and classy. thanks! this is sooo perfect... i love all of it! i need the lip color!! thank you for sharing! Sweet! Now I just need practice! Glad I stumbled across these.